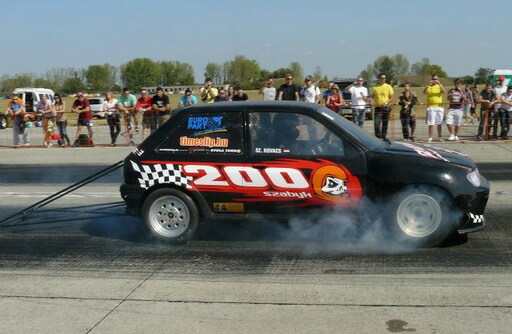 In Hungary dragracing is mostly over 1/8 mile, mostly because of the lack of suitable tracks. Racing is more open this way, distance lost during a bad launch are harder to recover. 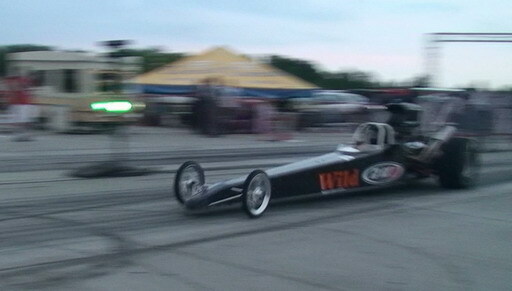 Hungary's fastest four wheeled vehicle, Csaba Erdős' Top dragster*. 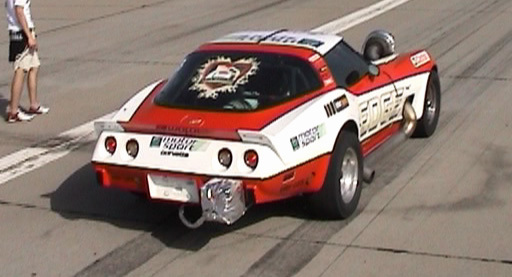 502 ci (8.2 liters) Chevy Big Block V8, Powerglide two speed auto gearbox, enermous drag slicks, low weight and ideal weight distribution are its main trademarks. 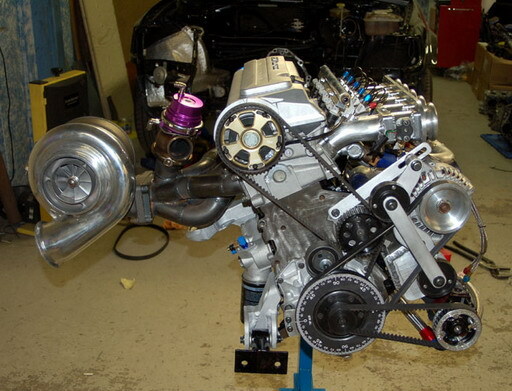 And not to forget the -minimum jetted- 200HP worth of direct port nitrous injection. 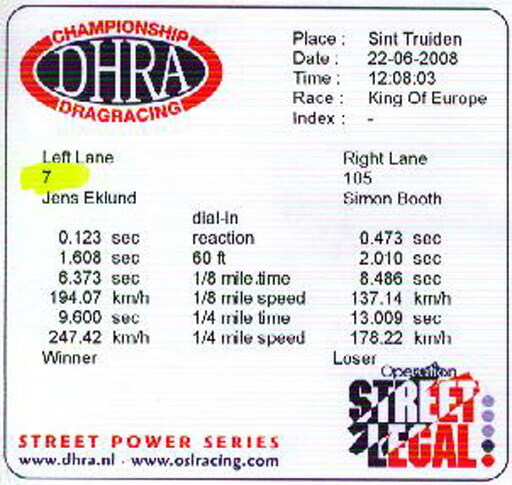 In this run the dragster wasn't driven by its owner, but a friend of his, so the 7.79 @ 277 official result is very good, less than a tenth slower than Csaba's national record 7.701 @ 279, which was set on the same day. 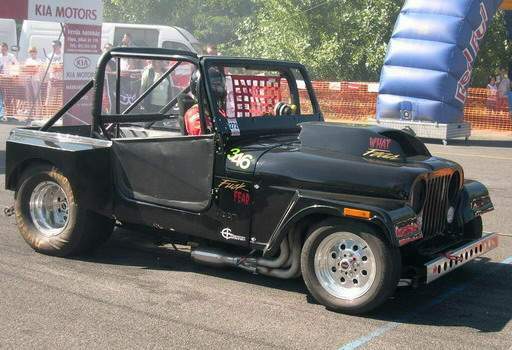 And there's quite a bit of potential left, as nitrous jetting can be increased up to 500HP. Even more, by fitting a second bottle that can be doubled too! But let's see this run. Well, this launch... I never expected that a 1.1second 60 feet time is possible on a non-prepped track. But it is. For more than a second 2g was recorded. After that acceleration declided quite rapidly, but at the upshift point at 150 km/h it was still pulling over 1g! It's just over 250 km/h where acceleration levels drop under the 0.5g reference mark of mere mortals. 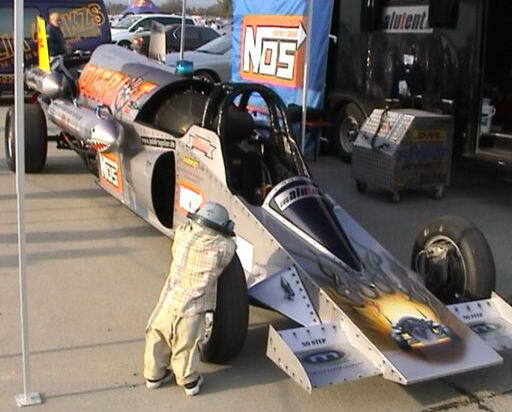 *: You can read about Top Dragster class here. 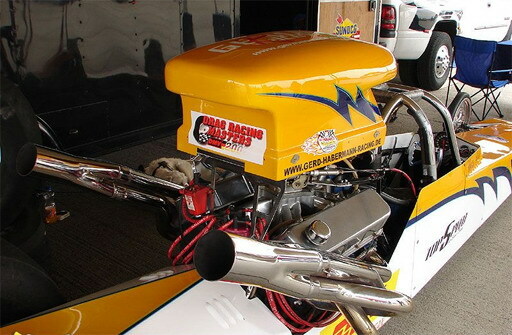 May 27th racing's fastest car was Gerd Habermann's Dragon Hunter, a jet powered funny car. He staged the car properly, just like any other car, so the whole run was timed officially. It turned out to be a 7.85 @ 333 km/h, which is matched very closely by this log if you set the rollout to 12". 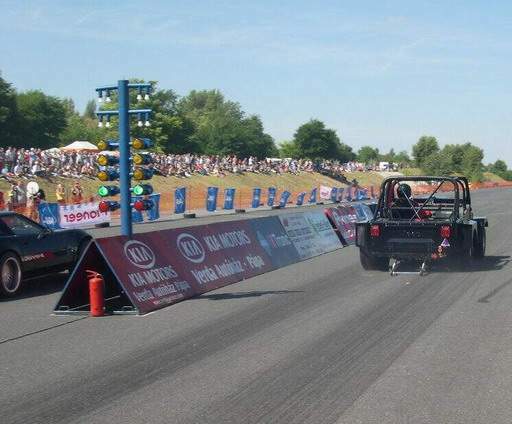 As you can see on the quarter mile view, acceleration stops about 30 meters before the finish line. After the run Gerd told us that the cross wind pushed the car too close to the track's center line, so he backed off a bit too early. If the run would have been complete, the speed could have been around 350 km/h. As the g curve is quite a bit off the chart, it might be usefull to view the run in the new 2g (and 1000 WHP) scale. Later on the day Gerd improved his time to 7.1 @ 377 km/h! On the grippy concrete surface at Tokol the Jeep improved its launch considerably, hitting peaks of more than 1.5 g acceleration. This track is an airport landing strip still in use, it's unprepped, but it has a harsh surface which cuts into the tires, providing quite good traction. Well, this run is the first 9 second run on our 1/4 mile list. With 12" rollout it would have been a 9.5 run, but as the official timing equipment failed to measure this run, we cannot be sure. As the trap speeds matches the Jeep's first attempt of the day, we are quite confident it's quite an accurate log. 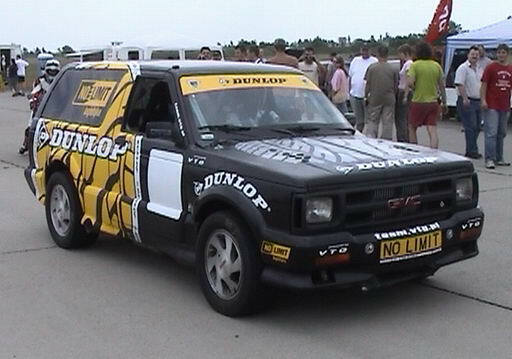 A nine second Polish GMC Typhoon. The model originally is the mechanical sister of the GMC Syclone, but this car is quite a mid different. 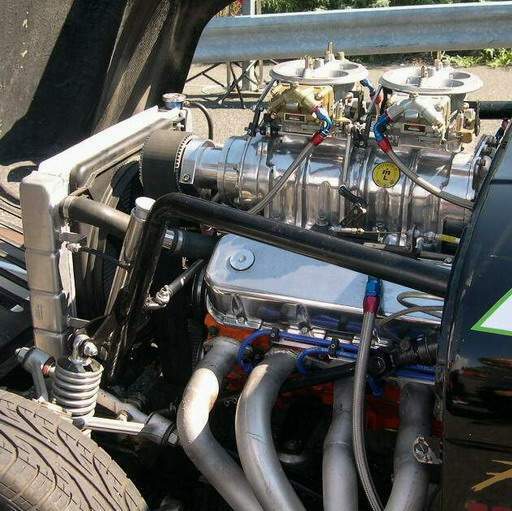 It was a 5.7 liter V8 for starters, with two turbos. It does have some power! The transmission is TH-400 with transbrake. This makes possible the boost buildup before the launch. When Marcin released the transbrake, the car jumped forward like it was hit from behind. Due to the soft sidewall drag tires the car rocked back and forth during the first 50 meters, thus creating the waves in the g curve. Still, this launch is only second to the RWD Jeep. The run's offical result was 9.58 @ 235.29, which is matched well by this log if you set the rollout to 12". The car won the A8 category on the day. Bravo! 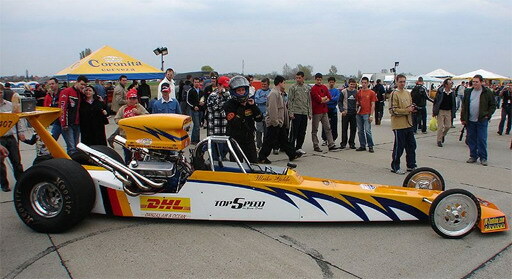 We logged Ulrike Golde's Super Comp Dragster during a demonstration run in Hungary. The track is an old air field, the surface is unprepped concrete, but the traction is one of the best in the country. The car pulled a very nice g curve. 1 g at 100 kph is not bad. But after 300 meters the power output starts to drop. 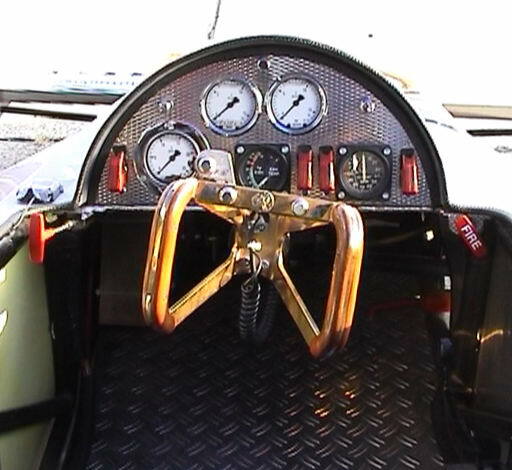 In racing conditions this would be considered normal, as the pneumatic throttle-stop kills power to limit ET to the 8.9 index. 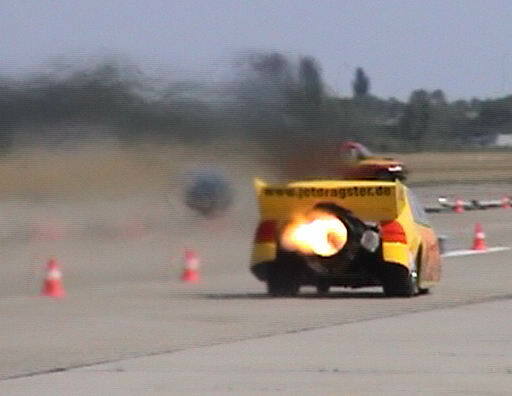 In last August in Hockenheim at the Nitrolympics she went 8.907 in qualifying with a trap speed of 227 km/h, which is the same she went during this run. 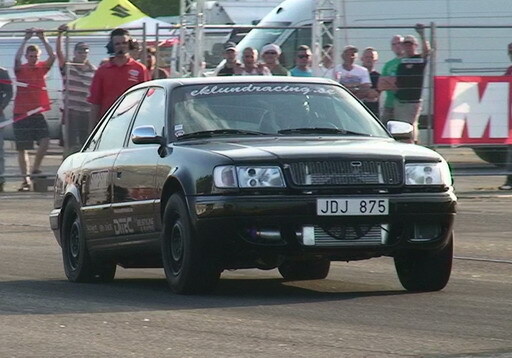 Just a few weeks ago Jen Ekluns and his immaculate Audi S4 was crowned 2008's King of Europe West, having won both the AWD class and the overall classification of the 2 day event. He only lost in the East vs. West final against the polish AWD Corvette. Jens impressed the specatators with fantastic launches and very high terminal speeds along with high consistancy and reliability. 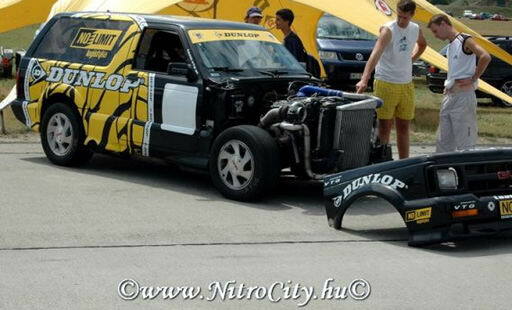 The car has a 5 pot 2.5 liter 20V engine, with a huge Borg Warner S480 turbo. It runs on E85 ethanol and also has a 75HP nitrous shot to cure turbo lag. 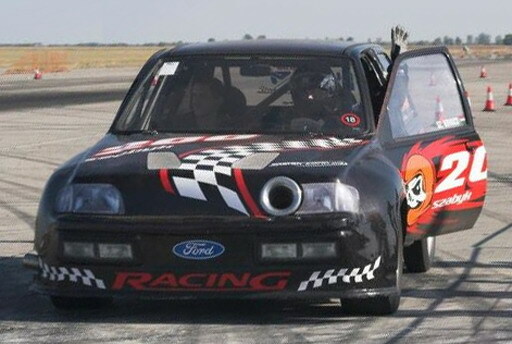 Click here to read more details about the car. First gear is really impressive, very high g's on the terrible track surface. It's surprisingly short, 1.5 seconds and he's in second gear. Perhaps it was a bit too short, because there is huge lag in second gear, after the initial push. It's fallacious, of course, because the lowest point is still almost 0.8g. It's got incredible power, it's just amazing. The gearshifts are really fast too. What amazes me that even beyond 200km/h it accelerated better than your avarage FWD car can from standstill. The offical timeslip, shown on the 2nd photo matched quite closely by this log, if rollout is set to 10". In the last 5 years I've logged many fast, many interesting vehicles, but nothing compared to this one! Thanks Ulrike, Thanks Gerd! 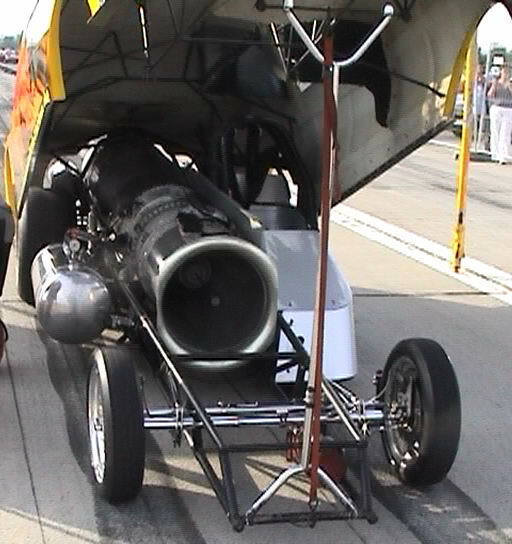 You might remember Ulrike's interview in our video where she told us about the difference between her super-comp dragster and this jet-dragster. 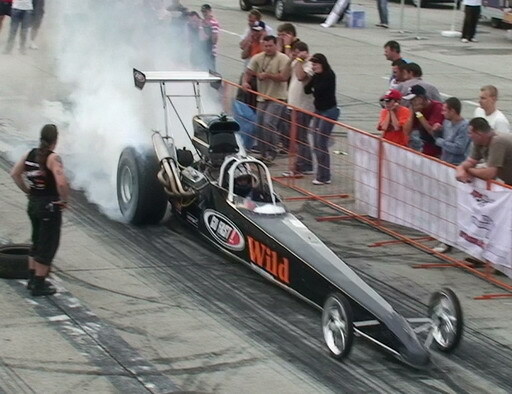 While the wheel driven car launches hard and acceleration eases as it goes faster, the jet car is quite the opposite. It starts quite softly, but there's a sudden increase in acceleration from 70 km/h on. This might be due to driver input or maybe it's how this engine works. If we look at the 1/4 mile view it's evident that the run didn't lasted the full 402 meters. That's because due to the strong wind the start causes, the starting point was around 50 meters in front of the normal starting line. Since Ulrike didn't pushed after reaching the Q/M finish line sign, we only have around 350 meters of acceleration. The official trap figure for the run was 308 km/h. * I'll write more about this run in details on the miscellaneous page, with charts with the correct scale to everything clearly. 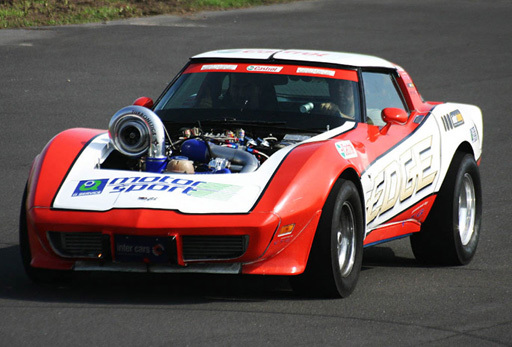 This is a very unique Corvette from Poland. It's said to be the one and only AWD C3 in the world. It uses a Syclone front axle and driveshaft to good effect. As the 5.7 liter engine uses just one, huge-huge turbo, getting going is not easy. 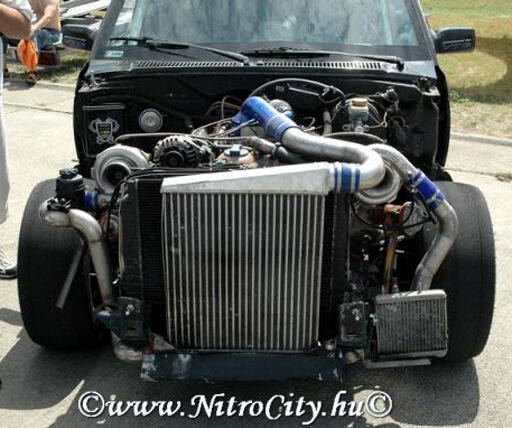 Without the help of nitrous the turbo wouldn't spool up in first gear! As it sports a transbrake, the TH400 has to be manually shifted, these shifts are evident at around 100 km/h and 140 km/h. I'm not sure how long was nitrous applied in first gear, but it seems it wasn't used in 2nd, only in 3rd, and that's very prominens, as you can see on the 1/4 mile views. Considering the quite high trap speed it's a little surprising to see that the car didn't actually completed the whole distance before lifting off. 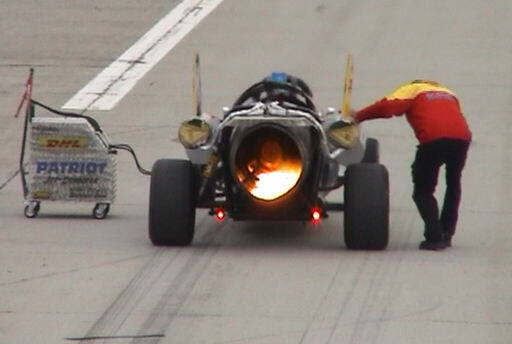 At these power output levels hitting the limiter would endanger the engine, so nitrous was cut around 320 meters, and the throttle was closed a further 40 meters down the track. 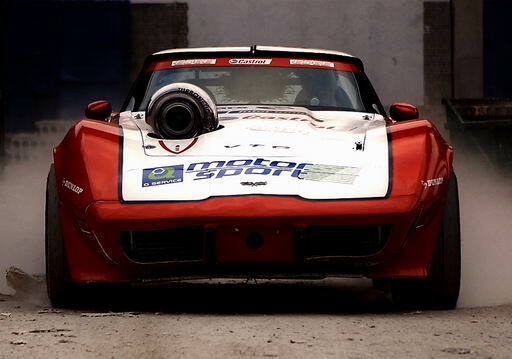 Still, the official timeslip (9.546 @ 236) showed that it was actually the fastest run of the day by any wheel driven car. 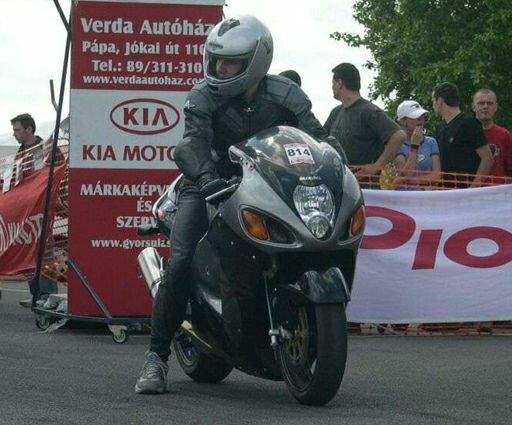 In the finals Grzegorz finished a close 2nd to his teammate's Typhoon. Good job! Sorry, English comment is not available for this run.